When Geralynne Mitschke Design approached us regarding a custom Cumulus 24 for an upcoming project, we were excited to hear that she wanted to take the Cumulus in a coulor direction that we hadn’t gone before. Geralynne chose Zeppelin grey from our catalogue of 3Form Ecoresin samples. We designed a very minimal lattice canopy to allow the Cumulus to hang below the skylight without interfering with the natural light. 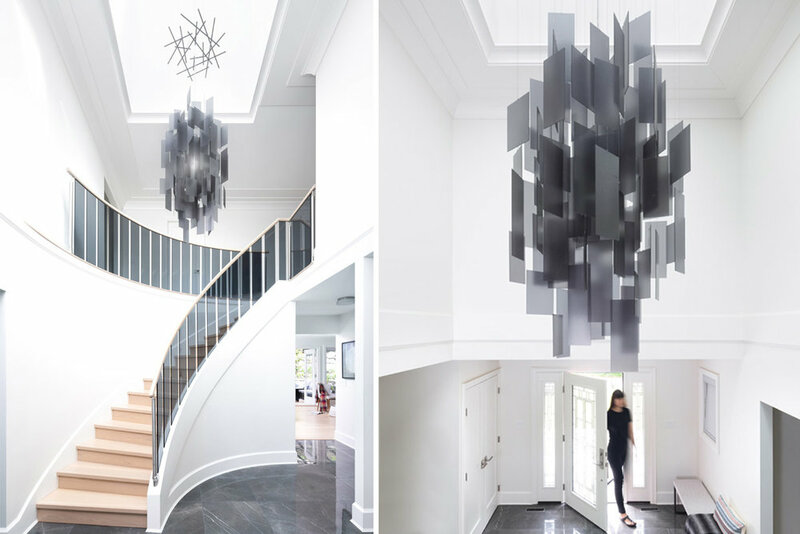 The result is this very elegant, dark cloud that floats harmoniously in this light filled entryway.